Do you write or illustrate kid's books? We are currently open to reviewing a very limited number of manuscripts. Please review this page before submitting your story and/or illustration portfolio. 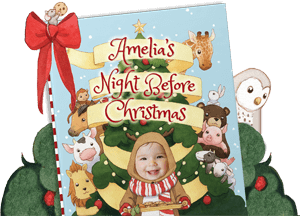 Read Your Story is an award-winning, personalized picture book publisher, in business since 2016. 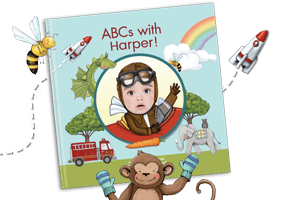 Our goal is to publish great children's books, that just happen to be personalized. 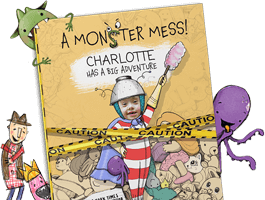 We embed photos of the child into the illustration, and incorporate the child’s name throughout the book. Please take the time to go create and preview a book on our website to get an idea of the level of personalization we offer. We are looking for universal themes and childhood experiences. (Examples include potty training, starting school, adding a new family member.) We would like for these to be wrapped in an interesting story that captures these milestones with a timeless feel. We are looking for picture driven stories for children ages 0-8. Please do not send early readers, middle grade or YA manuscripts. Please submit your story with a cover letter that includes a summary of your story, a brief biography of yourself, and contact information. Authors do not need to submit illustrations. Please note: if your manuscript is not in the body of the email, your story will not be read. Exception: author/illustrators who are submitting a book dummy may attach a PDF. Please email us a brief biography, contact information and three of your strongest portfolio pieces. Include a link to your online portfolio. Keep in mind that because of the personalization involved, artwork will likely feature a child as the main character. It would be best to include at least one image of artwork that includes a figure of a child, showing hands and feet. Please allow 3 months for us to review your submission. If we are interested in your story, you can expect to hear from us within that timeframe. We will do our best to contact you via email of our decision to reject a submission; however if you do not hear from us after that time, we are not interested in publishing your story. We only publish a few books each year so please don’t be discouraged. ‍Please email your manuscript to submissions@readyourstory.com. ‍Please include the title of your story in the subject line. ‍We do not accept any submissions by standard mail.